Check out the exclusive preview of the latest Kreoo bathroom products for the prestigious design party, Salone del Mobile 2018. 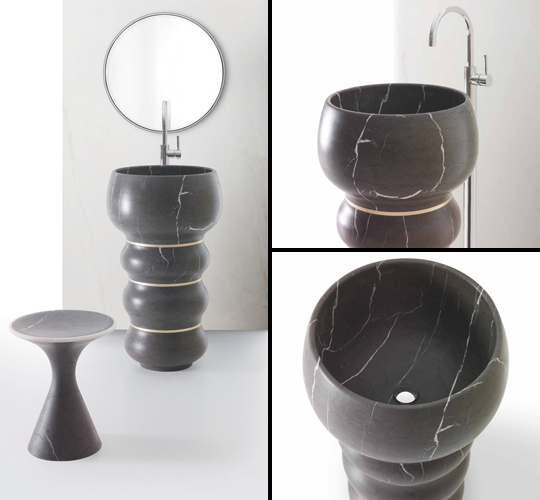 Kreoo is famous for bathroom products featuring free aesthetics crossing the boundaries of the forms of marble and granite. Check out Kreoo’s unique products launched in the same in 2016 here . Soap bubbles in the air are the inspiration of the latest hand-washers under the name Bubbles designed by Marco Piva for Kreoo. Make the hand washing aesthetic more dynamic with the curve. Beautified with metal inserts between the curve boundaries confirms the limit. There is a combination of marble or other stone options with different colors and textures. 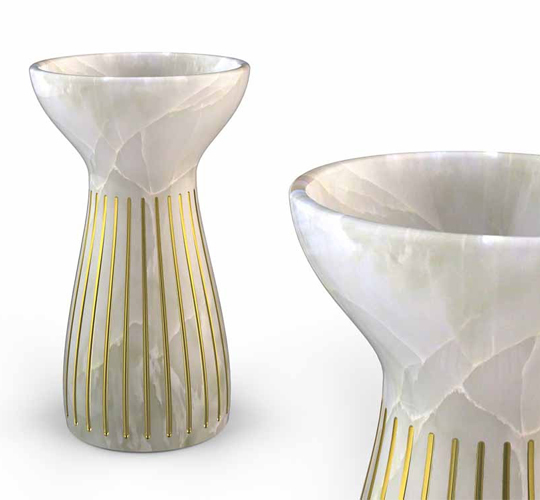 Unlike the Bubbles , Kreoo Roma accentuated the firmness of gold-colored lines on this elegant form of hand wash. Made of intact carved marble, Kreoo Roma combines traditional and contemporary forms for a hand-wash. 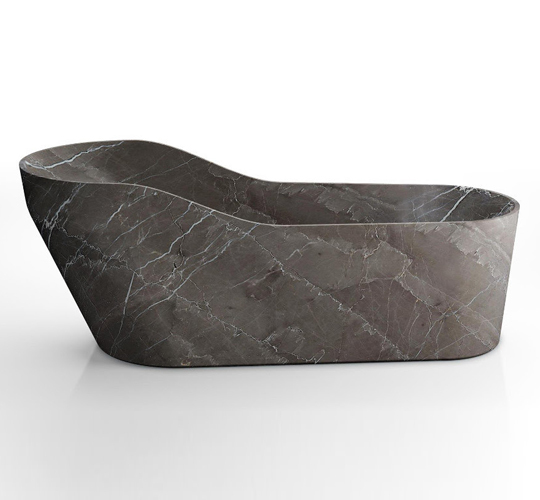 Inspired by the classical form ( Neoclassical and Napoleonic era), Kreoo Kalypso is a bathtub that features natural strokes of marble or other stones with soft shapes and curves. Kreoo Kalypso is the latest generation after the previous success with Kora bath. 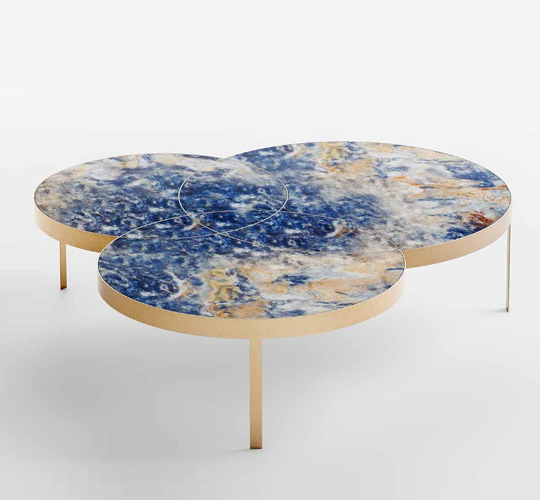 A table of artwork is made of one marble slab or other stone which is shown the line of intersection between the three circle encounters that make up the table body. A furniture that has a strong character and is dedicated to an American country. A collection of several table sizes including a rack table. 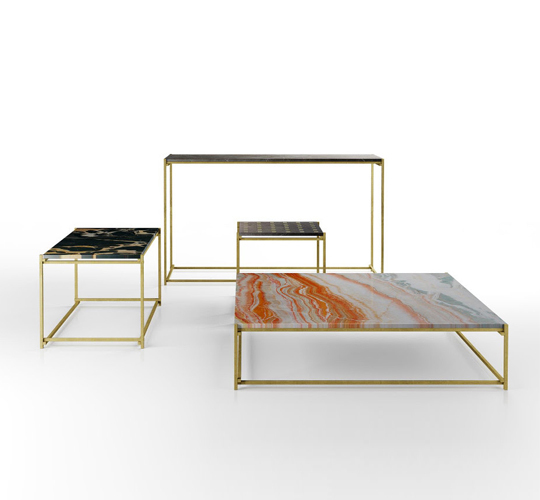 What is interesting is the combination of marble aesthetics with the simplicity of the essence of the framework of the table made of brass material. The top frame is designed so that the marble slab looks like it floats. 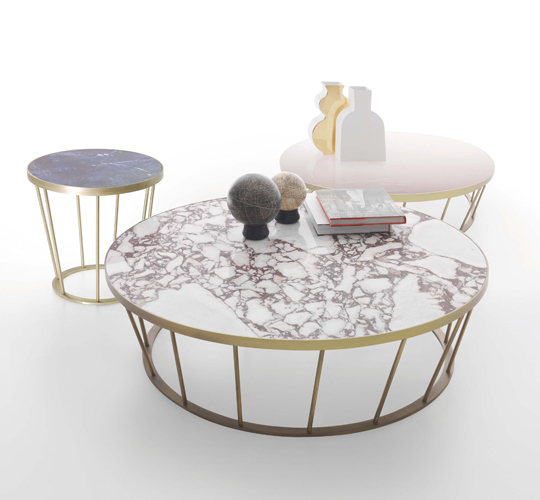 Dora consists of three round coffee tables with height, diameter and marble type or even a different gemstone mix. The three tables are an inseparable unity. A variety of differences designed for everyday objects in a dwelling.